Down Duwet DaunenStep G800 stems from long-standing traditions and skills of DaunenStep mark. 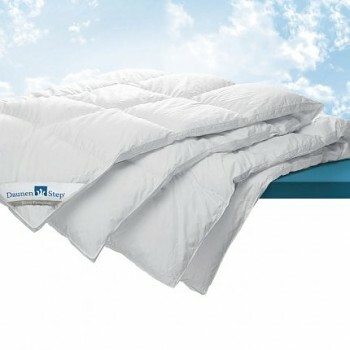 The fill is made up of extra large tufts of down feather from goose farms certified as class 1 (EN 12934). 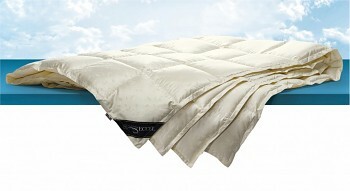 On the surface there is"Supersoft Batiste", a fabric made from the highest quality Egyptian cotton. 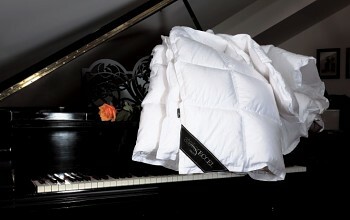 The fabric is treated using "Silver protection" technology, which works on the basis of nanotechnology - by incorporation of silver ions (it is durable, resistant to washing and chemical cleaning, in accordance with skin pH, it reduces the bacteria content by even 95% in two hours, eliminates odour formation and reduces the emergence of allergic reactions). 356.70 €	 10 - 20 days ? 423.80 €	 10 - 20 days ? 471.40 €	 10 - 20 days ? 565.00 €	 10 - 20 days ? 542.80 €	 10 - 20 days ? 685.50 €	 10 - 20 days ? 601.30 €	 10 - 20 days ? 573.30 €	 10 - 20 days ? 660.00 €	 10 - 20 days ? 774.60 €	 10 - 20 days ? 853.60 €	 10 - 20 days ? 1.075.30 €	 10 - 20 days ? 968.30 €	 10 - 20 days ? 1.021.80 €	 10 - 20 days ? 1.291.80 €	 10 - 20 days ?